The heatwave we experience in late June and early July has resulted in a bumper crop of blackberries, one of the best in years. I've been eating them every morning for breakfast and freezing the rest. 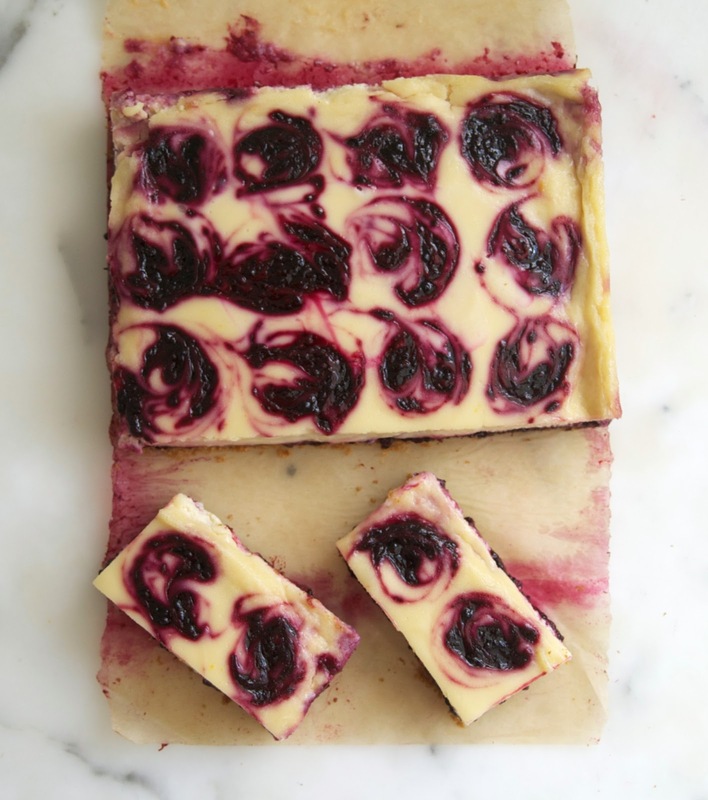 Last weekend I took it one step further and made some non dairy blackberry cheesecake bars. I bought an egg substitute that I've wanted to try for awhile now, but just haven't found the time. So, rather than scour the web for a vegan cheesecake recipe, I read through a number of prize winning traditional cheesecake recipes that called for eggs and used Vegg in place of the eggs. I started with a basic graham cracker crust but I didn't add the sugar that most recipes call for. I think graham crackers have enough sugar in them already, so I just mixed the crumbs with Earth Balance butter substitute. It's much easier to remove the finished bars from the pan if you line your pan with parchment or aluminium foil. I used parchment because I was out of foil but I recommend the latter in this case. 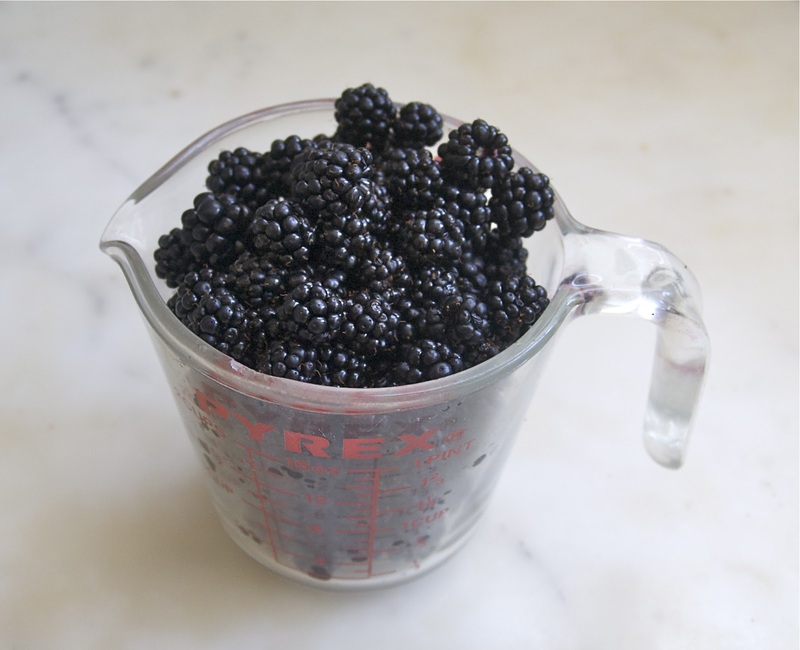 Next, I made a blackberry preserve by cooking a heaping pint of blackberries with some sugar and organic cornstarch. 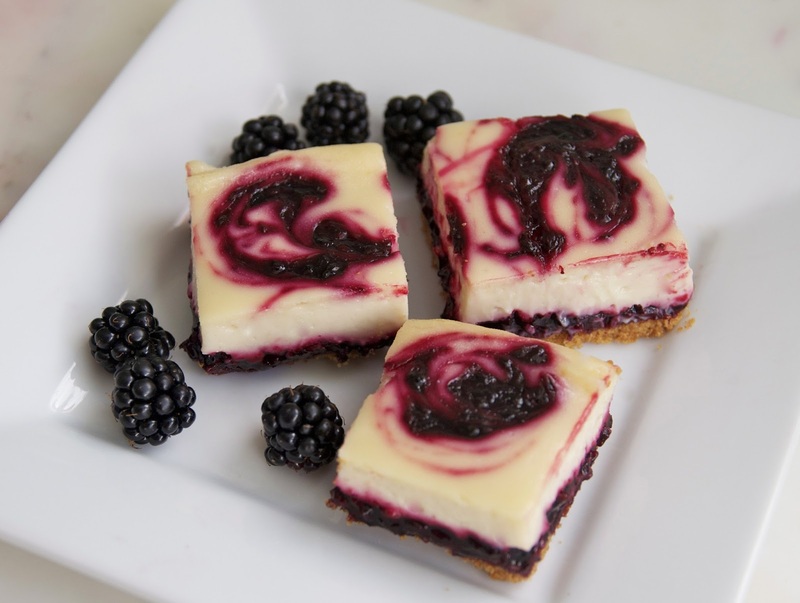 I spread most of the cooked down blackberries on top of the crust and then I topped it with the cheesecake batter, reserving some to decorate the top. I dropped the reserved blackberry preserve, a teaspoon or so at a time equally spaced over the top and swirled it back and forth with with a bamboo skewer. The Vegg egg substitute seemed to work well, the cheesecake came out nice and creamy and held together well considering it was made with non dairy cream cheese. 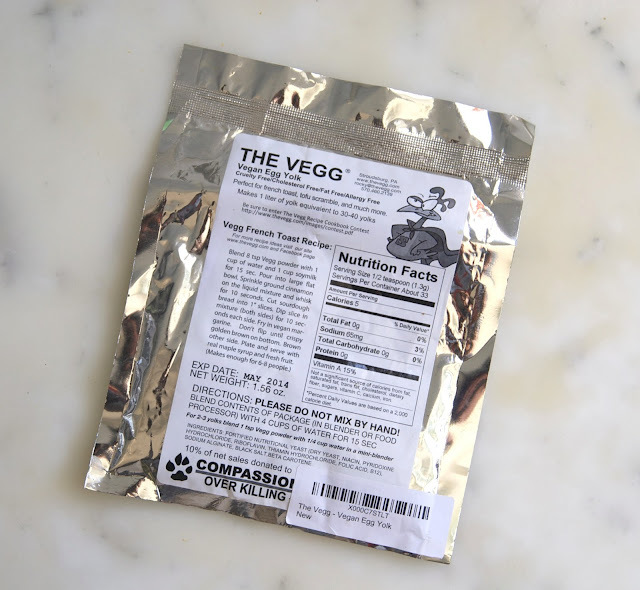 If you really don't want to buy the vegg powder, you could probably use a tablespoon or two of cornstarch mixed with an equal amount of water. If you try this let me know how it turns out. 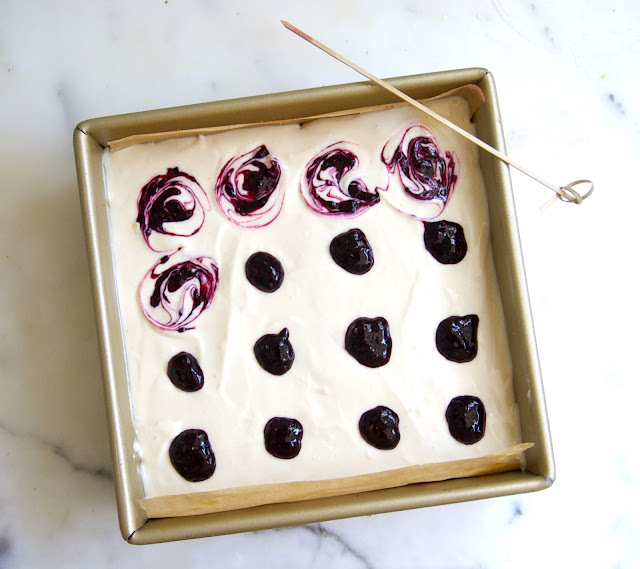 After you've cooled and chilled cake, remove it from the pan and cut it into bars or squares. It is very important that you don't get impatient and try to remove the cake from the pan before it's throughly chilled in your refrigerator for at least 4 hours. 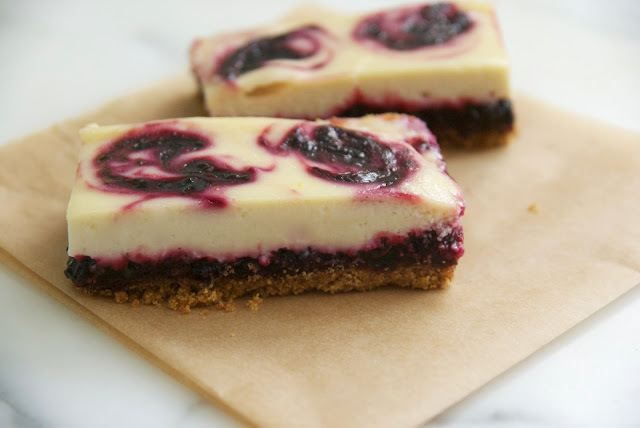 You can see the yummy layers of graham cracker crust, blackberry puree and cheesecake. Keep any leftovers refrigerated, but they probably won't last that long. You can also make this in a pie plate or an 8" spring form pan for a traditionally shaped cheesecake. In a small pot, mix the berries and sugar over a medium high heat. Dissolve the cornstarch in the 2 teaspoons water. When the berry mixture comes to a boil, turn down the heat to low and stir in the cornstarch mixture. Continue to cook (approx. 10 minutes total) until the berry mixture thickens. 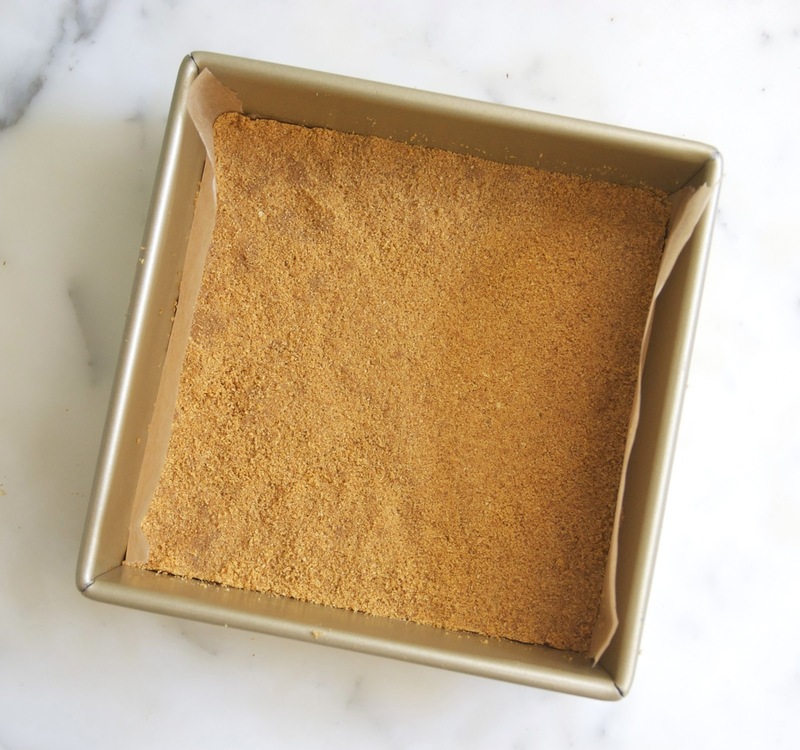 In a food processor, process the graham crackers until they are crumbs. Line an 8" pan with foil to overlap on opposite sides. Press the crumb mixture into the pan. Bake for 10 minutes and remove from oven to cool. In a blender process the Vegg powder and 1/4 cup water. Process the cream cheese and sour cream until soft. Add the sugar, lemon juice, Vegg mixture and vanilla extract Process until completely blended and smooth. Spread the remaining blackberry mixture over the crust. Refrigerate for 4 hours before removing it from the pan. It turned out great! It is a little sweet for my taste I think I would take out 1/4cup sugar, but I think this might also depend on what brand vegan cream cheese you might use. other then that 2 thumbs up!